The mask background creator component is a utility component design to help people paint manual masks. It will export color ortho image of the terrain as seen from the top. This image has a 1:1 scale of the terrain and can be used as a background in your painting application when you do manual mask edits. It helps you find where to paint. Add the component to the GameObject with the VegetationSystem component. Select the mask resolution and press the “Generate mask background” button. Then select where in the project to save the image. 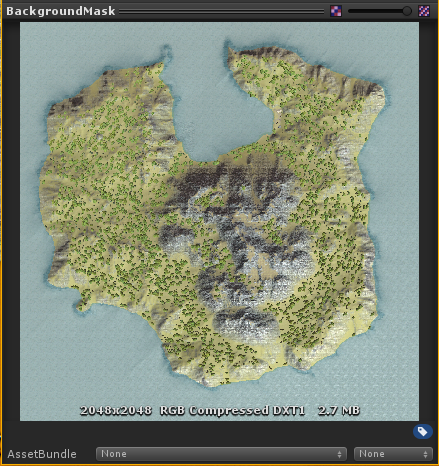 Example output of the demo scene terrain.